Imagine a “stereotypical” Los Angeles DUI driver. You might be picturing a young man in his late 20s or early 30s. He returns from a party or a club, and cops pull him over on the 101 for veering across five lanes of traffic in five seconds. This driver is clearly a disruptive influence, and the cops need to get him off the road, stat. But the actual catalogue of DUI offenders is far more diverse. Consider, for instance, an Illinois hit-and-run DUI case involving a 70-year-old man from the town of Naperville. Local authorities say Mario Perea caused a DUI accident and then hightailed his way from the scene. Perea allegedly rear ended another vehicle at a stop light on Route 71 and then fled. Fortunately, the accident didn’t cause any serious injuries. Police eventually caught up with Perea a few miles later and hit him with a battery of charges including: leaving the scene of an accident, DUI, improper lane usage, driving without insurance, transporting alcohol illegally and driving with only one headlight. It’s a flawed, but very human impulse to flee a crime scene. But what actually happens if you commit a DUI and then run away, according to California law? California Vehicle Code Section 20002 outlines the punishments for misdemeanor hit and run in Los Angeles. This CVC will apply if you hit someone else’s property and then leave the scene without identifying yourself or providing information for another person to identify you later. Even if you didn’t cause the crash, you can still be liable per CVC 20002. You do not have to exchange insurance info, per this code, however. That said, if you don’t, you could be in violation of a separate vehicle code section – 16025. That is a lesser offense — an infraction, rather than a misdemeanor. But you can still be whacked with a fine of $250. So what are the punishments? First of all, the California DMV will give you two points on your driving record. Secondly, you can face up to six months in jail, three years probation, fines and fees, and forced restitution to the person (or company) whose property you damaged. How can you respond effectively these charges? There are many ways to challenge CVC 20002 charges. First of all, if you only damaged your vehicle — and not the other person’s property — there is no misdemeanor. Second of all, if you didn’t know that you had been in a collision, you can’t be liable. Third, if you weren’t the driver at the time (e.g. someone else borrowed your car and got into an accident), you can’t be liable. 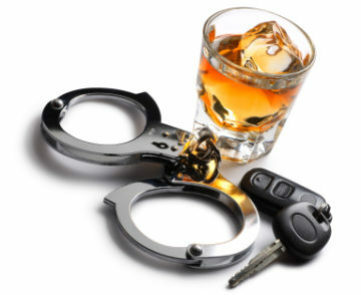 Connect with the team here at the Kraut Law Group today to get help with a precise strategy to combat your misdemeanor Los Angeles DUI hit and run charges.